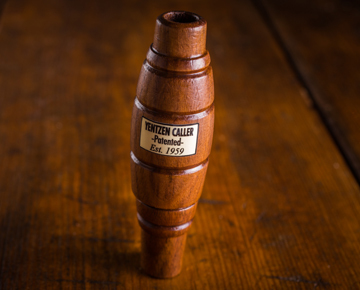 The Sure-Shot 960 Honker takes the hassle out of traditional Canada goose calling. Designed to produce the deeper resonant sound "Ur-lonk" that attracts the Canada Honker, using our unique long reed system is easy to master and reproduce on command. Affordable price for a good starter call of a great addition to an avid Fowler's lanyard. Styled in our custom poly body to give you long life while hunting outdoors.